In this period, you will choose a group member and name your team. Fill out the form below Final Project Team. Meet with your group and research and start to develop a concept /idea for your final group project. Look at the concept of the Alien Attack as a reference. We will be looking at another game next week. Brainstorm ideas for a new game. Assess the ideas and select the concept for your game. Determine the number of player/s and develop the players’ roles. 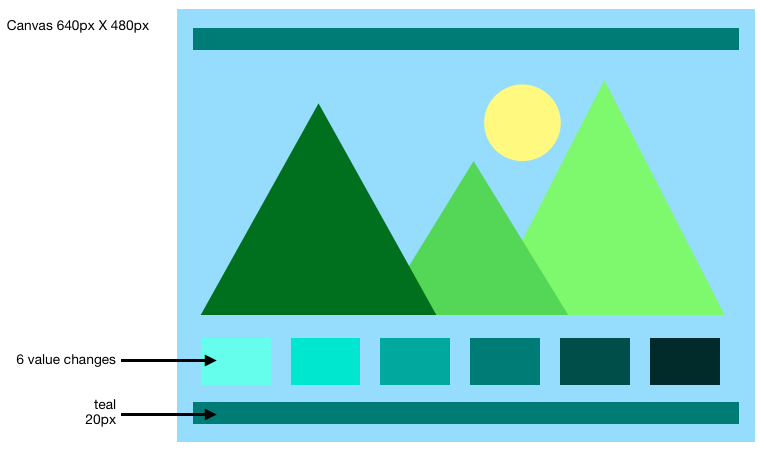 Draw an image to the canvas similar to the illustration of the board. fillRect(x, y, width, height) Draws a filled rectangle. fillStyle = color Sets the style used when filling shapes. strokeStyle = olor Sets the style for shapes’ outlines. beginPath() Creates a new path. Once created, future drawing commands are directed into the path and used to build the path up. Path methods Methods to set different paths for objects. closePath() Adds a straight line to the path, going to the start of the current sub-path. fill() Draws a solid shape by filling the path’s content area. 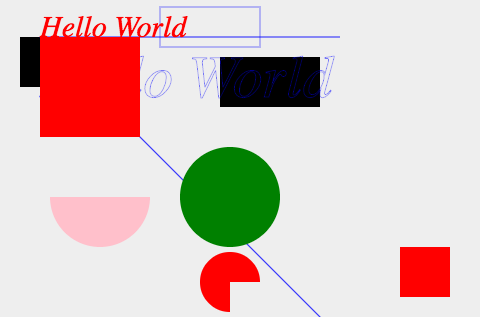 lineWidth = value Sets the width of lines drawn in the future. font = value The current text style being used when drawing text. This string uses the same syntax as the CSS font property. The default font is 10px sans-serif. textAlign = valueText alignment setting. Possible values: start, end, left, right or center. The default value is start. clearRect() method sets all pixels in the rectangle defined by starting point (x, y) and size (width, height) to transparent black, erasing any previously drawn content.